A year has flown by since our last blog on our studio space and we have experienced some interesting and exciting times. We are now in our office, albeit only in the new extension and our three desks are filled with Blair and our 3D Artists, Rex and Juli (with an additional temporary desk for freelancers just now). Given we thought one and a half desks would be occupied when we first started this process, additional desk space is required for me and another 3D artist along with some floor space for the office dog Ewok to rest her weary head! The space has worked extremely well for us so far and we hope we can continue this success with the potting shed (aka phase 2). 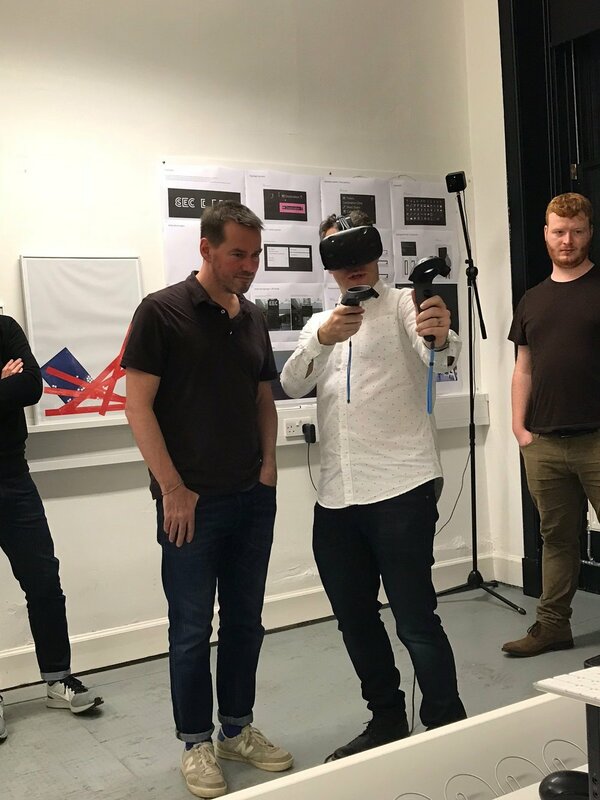 We had planned to make phase 2 a multipurpose space but as we are now looking for another fulltime member of staff the room will become an extension of the existing office along with room to have fun with our VR equipment. Thanks to all our clients and contacts that we have worked with over the past year. We have had a lot of fun and looking forward to continuing working with you all again in the future. 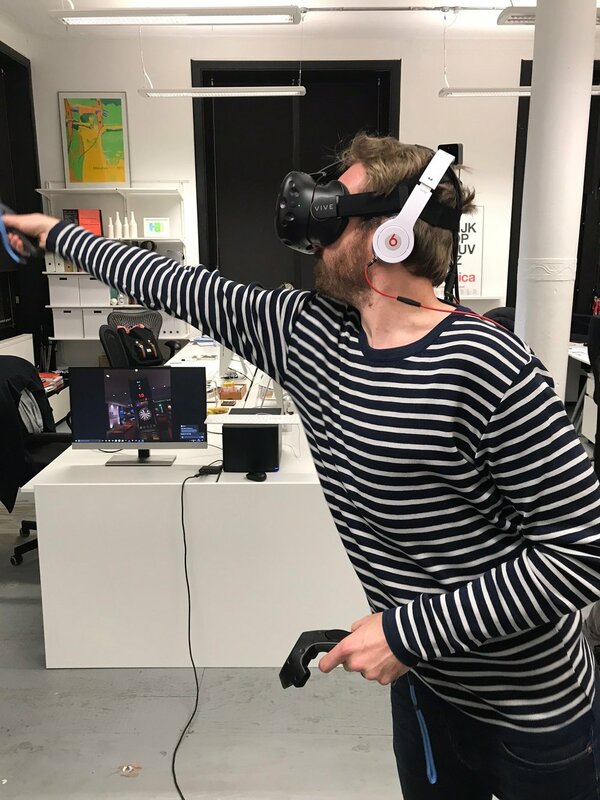 We had a fantastic night on Friday at the Freytag Anderson studio showcasing some recent work and more importantly, having a few beers and some fun with the HTC Vive and Samsung headset. Thanks to all that attended and well done to Greig winning the#bestdressedsnowman competition. 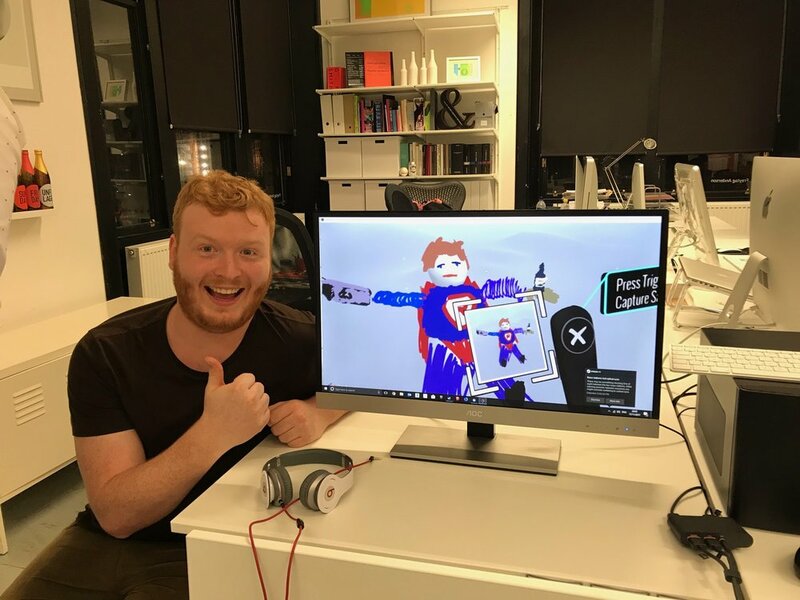 Rex with his creation - Renderboy! To expand the business and provide a quieter space to work in, we decided to utilise an existing outhouse in our back garden for our office.